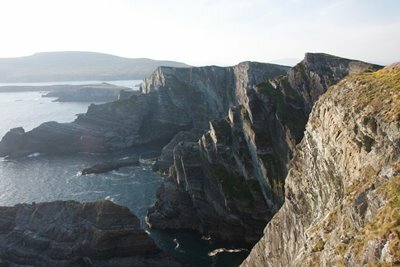 The rocks itself lies almost 12 km west of the Iveragh peninsula and soars over the Wild Atlantic to 218 meters above sea level. I think George Bernard Shaw the Irish poet captured it best when he noted in 1910, it’s an “incredible, impossible, mad place” that’s “part of our dream world,” Read more!! Portmagee is a traditional fishing village on the Wild Atlantic Way. It is located in the south west of Ireland. 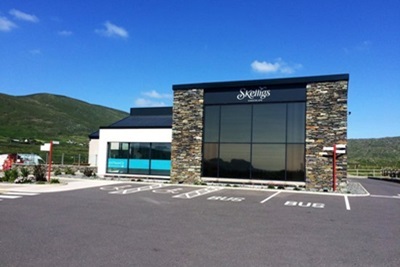 The village is now known as the gateway to the famous Skellig Rocks. 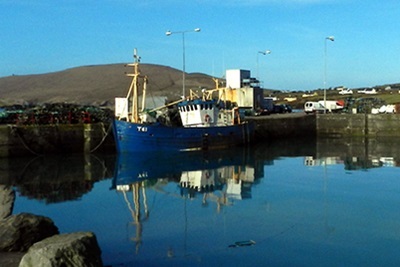 The village of Portmagee itself won the best tourist town in Ireland in 2012. It really is a picture postcard village. Read More!! 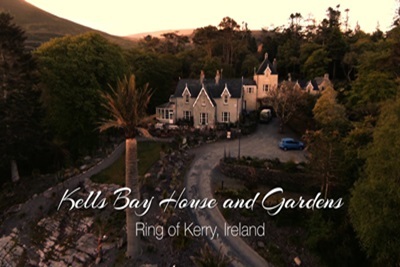 Kells Bay is one of Ireland’s most spectacular settings, and the scenery offers a wonderful backdrop to Kells Bay Gardens. Known locally as the ‘Jewel on the Ring,’ the Gardens cover just over 17 hectares, containing a large collection of sub-tropical plants. The Gardens overlook the dramatic views of Dingle Bay, and are filled with a variety of rare sub-tropical plants. Read More!! The exhibition has four themes. The history and archaeology of Skellig Michaels Early Christian monastery. The Sea Birds, their habitat, their world wide travels. The Lighthouses which have given 161 years of service to mariners. The Underwater Skellig, which has colour and magic equal to any sea in the world. Read More!! Walk or drive to the top of Geokaun Mountain & Fogher Cliffs. 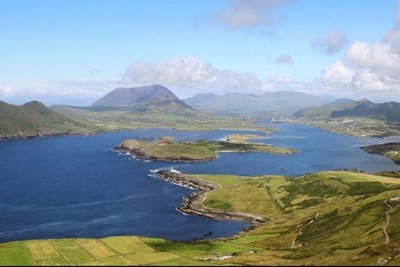 It is a mountain park accessible and it is the highest point of Valentia Island! 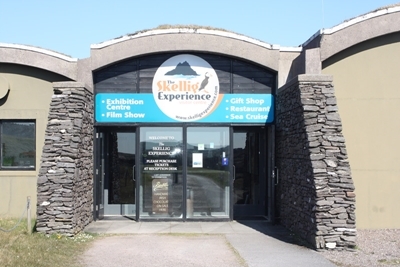 See spectacular 360 degree views, including The Skelligs, Dingle & The Blaskets the mountains of Kerry, Portmagee , Fogher Cliffs, Valentia Island, and the Atlantic and extends westward as far as the eye can see. Read More!! Irelands only open-plan chocolate factory!! We welcome visitors to come and see our Award-Winning chocolates being made, taste the freshly made treats from our chocolatiers while learning all about chocolate. Read More!! 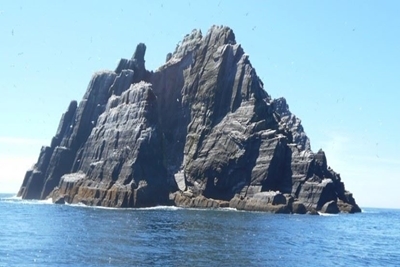 The 300m cliffs, formed by a desert environment 400 million years ago, offer fine views of Blasket Islands and are the nearest viewing point of Skellig Rock and Puffin Island. Read More! !